Little League Baseball is a national organization encompassing many baseball and even softball leagues. 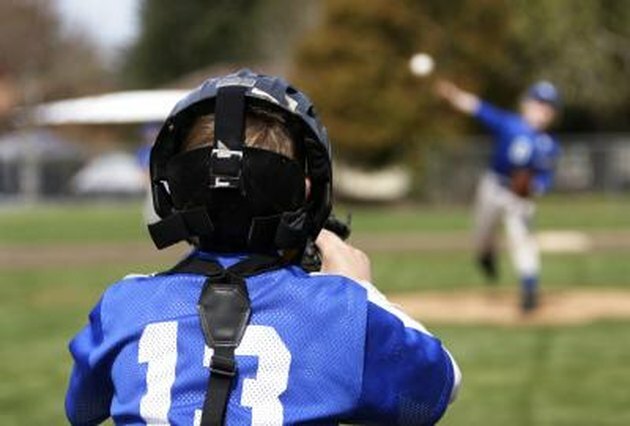 Little League Baseball has a standard set of rules which specify the dimensions of the field, including the distance from the pitcher's mound to home plate. This distance varies however, depending on the division of play. Within Little League Baseball there are several divisions, but only one is known as the Little League Baseball Division. To distinguish it from other Little League divisions it is also known as the Major Division. This division is for players aged 11 and 12 -- and sometimes as young as 10, depending on the local league. The pitcher's mound in the Major Division and younger age groups is located 46 feet from the home plate. The Intermediate (50/70) Baseball Division was introduced by Little League in 2010. Initially it was for players aged 12 and 13 but as of 2013 it is for players aged 11 to 13. The 50/70 in the division name actually refers to the field dimensions; the pitcher's mound in this division is 50 feet from home plate and the distance between the bases is 70 feet. The older divisions in Little League Baseball are known as the Junior, Senior and Big League divisions. The Junior Division is for players aged 12 to 14; Senior division is for 15- and 16-year-olds; and Senior Division is for players who are 17 or 18. All three of these divisions place the mound 60-1/2 feet from home plate. Local leagues can shorten the distance in the Junior Division to 54 feet at their own discretion, however. Despite it's name, Little League Baseball also has softball divisions. The Minor Division is for 7- to 11-year-olds; it places the pitcher's mound 25 feet from home plate. The Little League Division, or Major Division, uses a 40-foot distance from the pitcher's mound to home plate. For the Junior, Senior and Big League softball divisions the distance from the mound to the plate is 43 feet. What is the Distance From Home to the Pitching Mound in Softball? How Far Is It From Home Plate to Second Base on a High School Baseball Field?